Is your website a little outdated? Is it successful in reaching the potential customers? 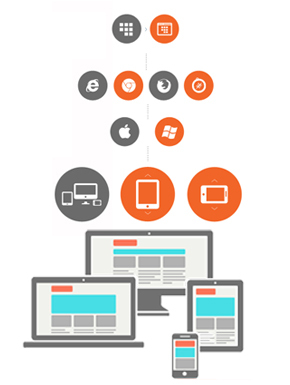 If your answer is, then it is the very right time to get the best website redesign services in Delhi NCR. Though the market is flooded with so many web designers the quality of work may not always meet your expectations. NetJungle Media Digital - Website Redesign Service Providers Delhi NCR, gives specialized website redesigning services India with a team which helps the clients to get rid of their old, dull and outdated websites. We can replace the same by a dynamic one. Does your website meet the present goals of your business? Does your site complement your marketing strategies? Does your site contain broken links? Does it follow the latest web standards? Is it in the top of the search engine results? Let our team of designers handle the redesigning project of your website so that you can easily concentrate on what matters the most for your business. So, if you think that your website needs redesigning feel free to contact us. Determining the things you love about the existing design. In a redesign, we focus more on what the client dislike. Determine the online strategies of the competitors through detailed analysis. Create a list of ways to improve the site in terms of functionality. Checking the Google Analytics account to see what’s already working and what’s failing. Create an efficient content marketing plan to add valuable content to the site. Staying abreast with the online marketing efforts to improve the strategy. Develop a detailed outline with deadline in terms of planning and implementing, and also decide on the tentative launch date. Establish goals and stick with them until you accomplish it.